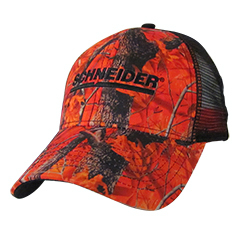 Blaze Orange Camo front and visor. Black Mesh cap back. Structured pro style cap. Plastic snap closure.